Are you looking to add life to the walls of your room? Do you want to create a unique vibe in every room that your guests walk in? The secret to all these lies in the framed wall arts that you choose to put up on the walls of your kitchen room to your living room. Contrary to what most people believe, wall art is not complex, it is just another wall of expressing your inner self. The art you display on your wall can portray an upbeat, quirky, rustic as well as a relaxing feel to the entire room. Bring your boring and cold walls to energetic aliveness with the simple framed wall art ideas we are illustrating below. You will find that most of the designs on the eye-catching frames are actually floral. However, due to their color layer and repetitive designs, there are not clearly visible, yet they appeal to the eyes attractively. 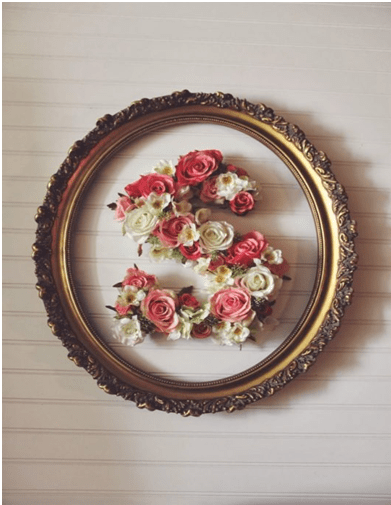 What you can do is create floral designs inside that frame with artificial flowers. You can write initials of your and your partner’s name in two different frames and place it in the bedroom. You can also write the letters of a catchy word in different frames as fits perfectly with the room where you are going to place them. If you are looking for creative frame wall art ideas, this is the easiest and highly affordable. 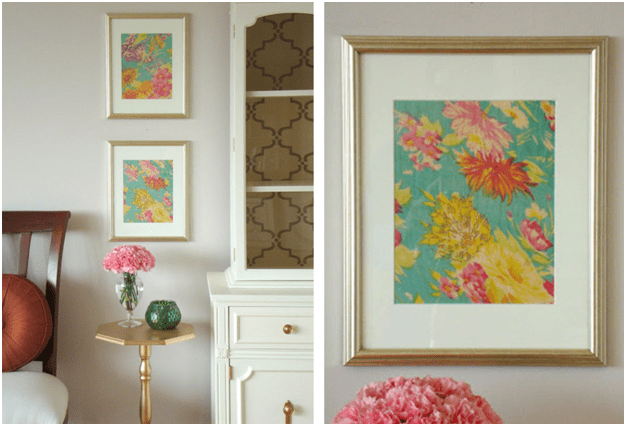 All you have to do is shop some stunning frames for the wall which are customizable. Then you need to get your colorful and decorated scarfs and cut them as per the shape of the frame and attach within. Then hang the frame/frames on the wall, and there you have created a masterpiece to add character to your room. You can fill the blank space outside the scarf and inside the frame with objects like stars or certain colorful geometric shape and place such in your living room or child room. This is one of the most popular framed wall art ideas of the current generation. This is where you have to buy the frame as well as the circle punch papers of different colors and designs. You can also prepare them at home if you have the patience. You can paste them on the frame randomly. Instead of just pasting the circular punch papers in a proper line, you can paste them in such a way that you forms an interesting shape representing something else like an animal, popular symbol and likewise. 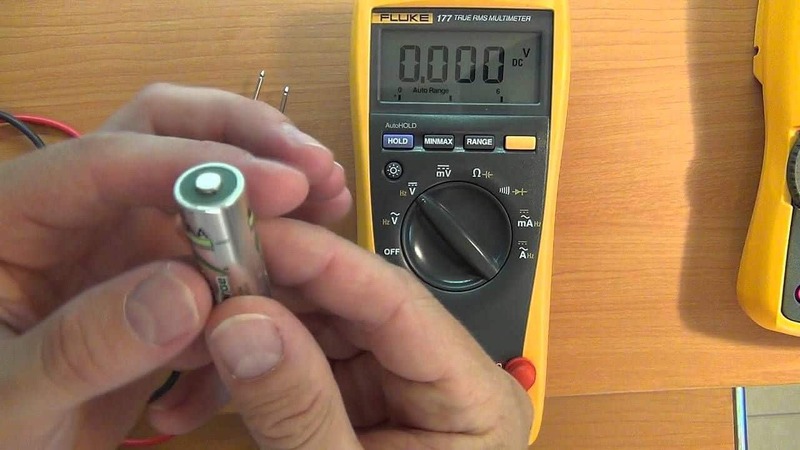 Highlight something with hidden meaning to the pattern which would need greater inspection and attention to understand. If you are a creative and artistic person, you will definitely like to experiment with the subject that is inside the frame. That is why the chalkboard portraits on the walls are becoming popular. 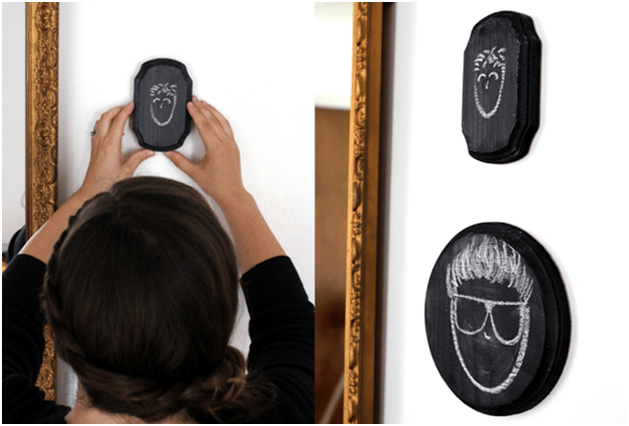 You need small chalkboard with frames of different shapes, and you can draw anything you want and line them up of the wall having a specific message or pattern. 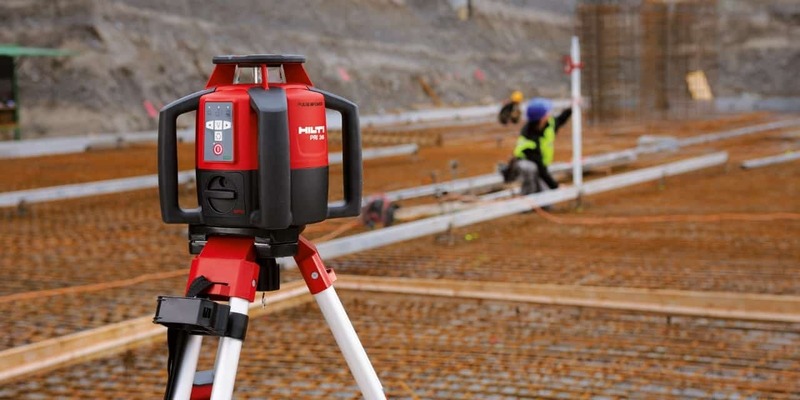 You can use a laser level for hanging the frames to perfection. You can always use colored chalk to add color. In fact, you can color the entire mini chalkboard and form an artistic shape with your finger so that the outline of what you draw comes out in black which is the base of the chalkboard. The calendars have amazing photography collections and intriguing paintings. Instead of throwing away from old calendars, you should cut out the paintings and photos and attach them to photo frames. It is better if you can get calendars of different size so that the gallery your form with the frames of different sizes. This will make your wall look stunning, and you can add some lights from the top to highlight it more. 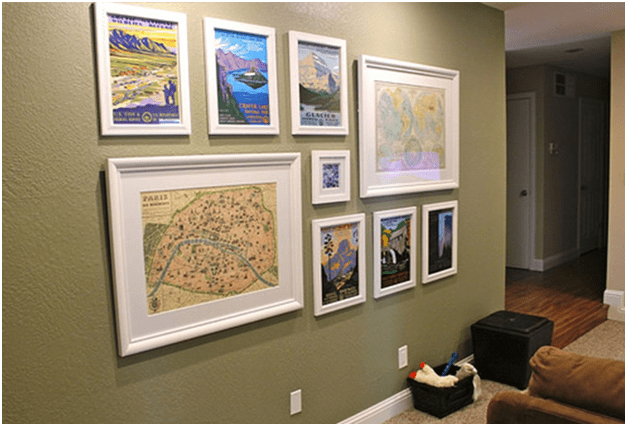 You can also take print out of your own graphical works, make paintings on art paper, and attach them to frames and create a gallery for your personal room to showcase your creativity. We usually see people hanging childhood and family photos in photos frames creating a gallery. However, the frames are the usual which make the design common and clichéd. 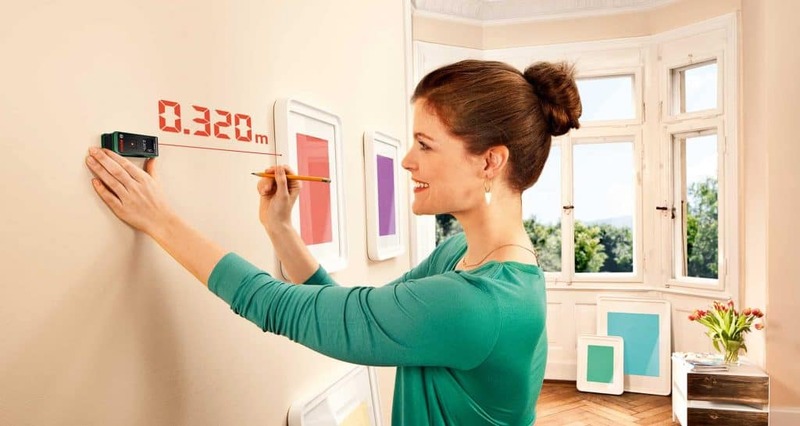 Instead, you can use adhesive tapes to create interesting shapes and designs which look like frames. You can attach the photos inside them to get a highly creative gallery. Instead of tapes, some people also use other items like woods of customized shapes, pipes made out of different materials, cardboard cut out in different geometric shapes from creating the frame of their desire. 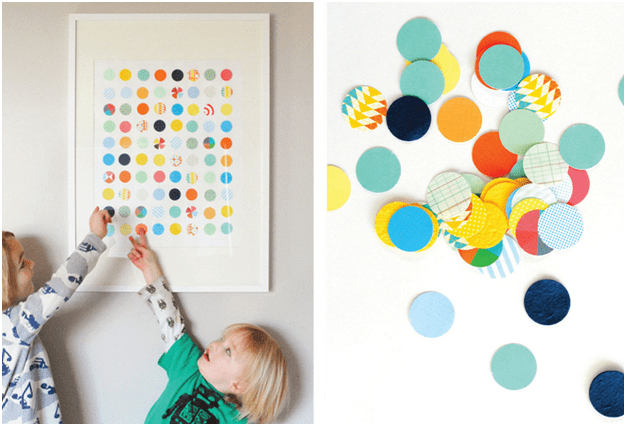 Apart from these, you can come up with your own frame wall art ideas as it can be anything you want using your creativity. Do not settle from the common things, give your own touch to the walls of your room.